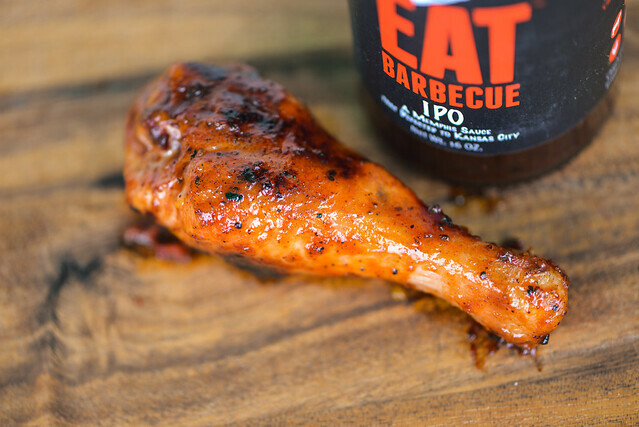 A vinegar sauce with a lot of depth, IPO brings waves of sweetness, tang, smokiness, and a complex mix of spices to create lots of layers to make it an incredibly interesting sauce out of the jar. This was the second bottle of sauce kindly given to me by pitmaster Rod Gray at the Kingsford Invitational back in November. Rod and his wife Sheri head up the barbecue team known as Pellet Envy. Together they've rocked the competition circuit, collecting more wins than other team in recent years. 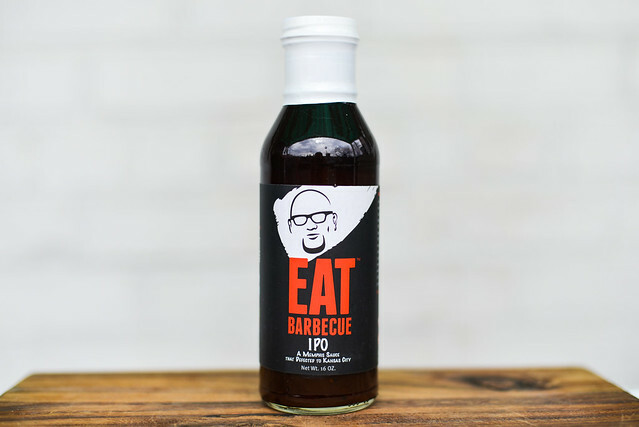 Transforming those successes into a business, Pellet Envy sells two different sauces and rubs under the name Eat Barbecue; they can be found online and select retailers across the U.S.
A strong waft of vinegar singed my nose on first smell of this sauce. The tanginess is strong, but no so much that it hides the light sweetness and fruitiness sitting just behind that tart base. 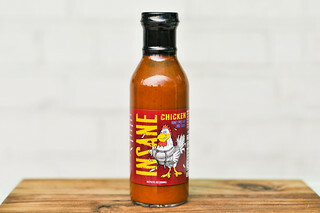 There's a heavy spice to this sauce, giving it an aroma that has a passing resemblance to a hot pepper sauce. It goes much deeper than a pepper sauce though, bringing in a little earthy touch and a mellow smokiness as background notes. This sauce is medium-thin, having a consistency like a North Carolina vinegar sauce that has been given some thickness from ketchup. Although it's dark maroon, it's still semi-transparent, which lets you see the plethora of spices that are peppered throughout. From a suspended spoon, this sauce falls quickly in an even stream, continuing like that until a few final drips that keep going until only a thin layer of sauce is left coating the silverware. As in the aroma department, vinegar was a heavy player in this sauce from start to finish. A sweet and tangy beginning quickly tipped the scales to be more tart when the sauce first settled on the tongue. At this point, the mellow tomato base added a little fruitiness that built on the acidity, making it more complex than vinegar alone. Then the spices hit, and they added a burn to the vinegar that started to tingle the tongue. A faint smokiness made an appearance at this point, then as the sauce began its retreat, the heat really picked up. It was a very layered burn, with peppery notes from hot pepper and black pepper, as well as an earthiness from ancho pepper. The sauce coated the chicken lightly, but evenly. It was thick enough that it built up a thin, but respectable coating after multiple brushes, and baked in very well. When moved over to direct heat, the sauce began to darken quickly and had to moved out of the fire sooner than other sauces to prevent burning. The complex, layered flavor out of the jar lost some of its edge after being cooked. Those disperse elements that made the sauce interesting boiled down to two notes—sweet and tangy. Even these were comparatively mild, making the chicken leg have only a minor barbecue flavor without too much spice to speak of. IPO brands itself as "a Memphis sauce that defected to Kansas City." It certainly delivers the vinegar tanginess of Memphis Sauce, but I felt it leaned even a little heavier towards North Carolina than Kansas City. Sure it had some of the sweetness associated with KC, but it didn't have the balance between sugar and vinegar that I might expect from that tag line. This in no way means it was a bad sauce—out of the jar is was pretty damn incredible. I loved the complexity of the spices in particular, where you really got the essence of all the different peppers used to deliver the heat at the end. Unfortunately the sauce was taken down a notch because that defining characteristic was almost completely lost on the grill, where the rich layers simmered down to almost only two primary notes. Because of this, I'd recommend IPO mainly as a dip or condiment. It's strong tartness would do magic on pulled pork, while its sweetness would give it so much more depth than a North Carolina sauce could do on its own. 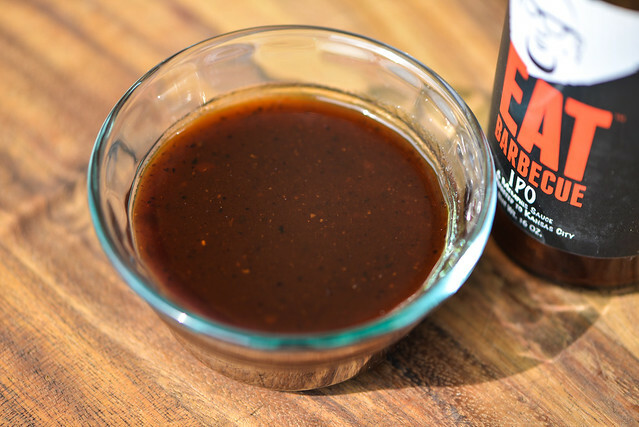 This would also be a great slather on ribs, topping for burgers, dip for pork chops, and so much more. I'm pretty impressed with this sauce. I've already switched over to using it plus the zero to hero rub on my ribs. I haven't competed with them yet, but in my tests I found it better than any ribs I've ever cooked. For my pork I've been using a mix of Blues Hog Tennessee Red and Original, but I've been considering just using this. I've been super impressed with the EAT products. I'm doing a test cook this weekend on brisket to compare the Next Big Thing to the sauce I currently use. Plus compare my brisket rub to The Most Powerful Stuff and Oakridge BBQ's Black Ops. So I did my test and I wasn't as high on the Next Big Thing as I was on this sauce. I found that the Next Big Thing when just warmed and put onto brisket had too much vanilla flavor that was a big off putting to me. 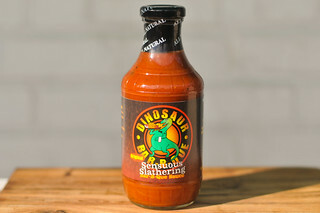 I love this sauce and the two rubs from EAT though. 3 out of 4 isn't bad.